It all started with ice and wood. 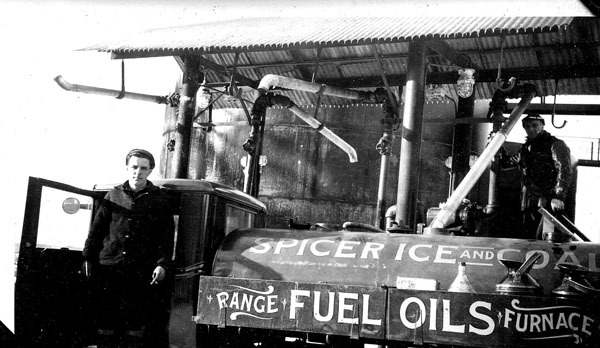 In 1915, two brothers began the Spicer Plus journey by delivering ice and firewood to your homes and businesses. They built a company on honesty, integrity and an unwavering dedication to you, the customer. Through 100 years, three generations and a great deal of hard work, we’ve stayed committed to these values, while keeping you warm and saving you money. Today, we distribute propane gas and heating oil to Coastal and Southeastern Connecticut and portions of Southern Rhode Island. Spicer Hearth & Home, located in Salem, CT, offers fireplace inserts, hot water heaters, outdoor fire pits, grills and accessories. 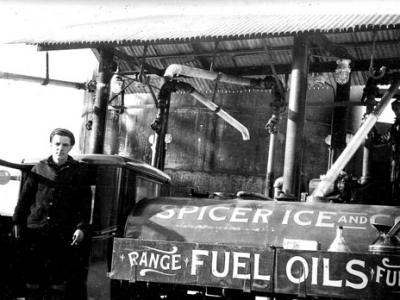 In 1915 George & Harry Elion began supplying ice and firewood to local homes and businesses. This small family-run ice and wood company quickly evolved. In the 20s, they added coal; in the 40s, they added fuel oil and in the 50s, they added propane gas. The entities became two corporations, Spicer Fuel Co., Inc. and Spicer Gas Co., Inc., and are now collectively known as Spicer Plus, Inc. In 1979 Larry Chesler, grandson of George Elion, left a law practice in Groton and joined Spicer Fuel. In 1988 John Holstein of Stonington, owner and developer of multiple southeastern Connecticut businesses which have included Noank Shipyard, Waterford Speedbowl, and The Packer Building, acquired the outstanding interests of Harry Elion. 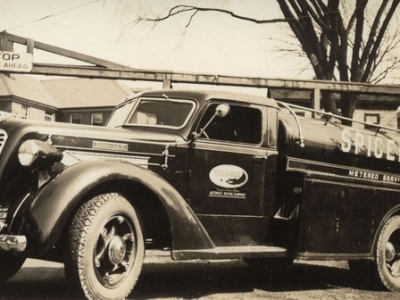 Together they became the 3rd generation of successful operators of the Spicer energy distributors serving southeastern Connecticut. In September 2003, Spicer opened its new Mobil/Dunkin Donut facility at Exit 93 North Stonington. In 2007, Spicer Plus merges with Advanced Gas in Salem, Connecticut. Advanced Gas was established in 1997 as a grill & hearth shop at Salem Four Corners specializing in gas fireplaces, stoves, and outdoor cooking equipment and installations. 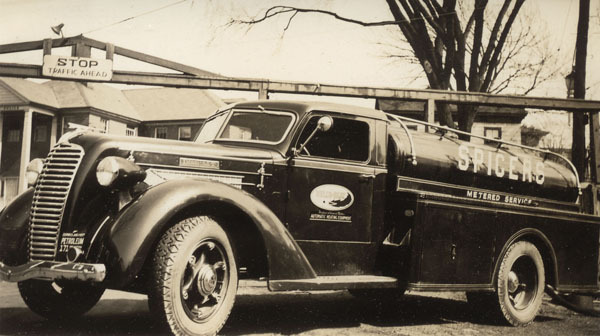 Soon after, Advanced Gas added home deliveries of propane and moved to their current location at 183 East Haddam Rd in Salem and quickly became known as the premier hearth store throughout Southeastern Connecticut and Southern Rhode Island. Present business operations include a commercial and retail propane gas distribution business servicing coastal and southeastern Connecticut from Branford to Pawcatuck, and portions of Southwestern Rhode Island with delivery and equipment service. The company’s home office is located at 15 Thames Street in Groton, Connecticut.